Lessons usually start after 12 p.m., with some cases of early morning classes (starting at 9-10 am) or late afternoon (starting at 3-4 pm) depending on weather conditions. The timing will be confirmed close to your scheduled date. After 4 hours of lessons, we lend you a Trainer Kite (totally safe and free of charge), so you extend your training! After your lesson, you receive a kite manual/tutorial for free. It contains the lessons learned and additional instructions usually not included as part of the training session. Usually, training sessions last four hours a day, but could be shorter if you want. Depending on the wind condition, classes could be taken in spots around Cagliari (15-20 minutes by car from the center of Cagliari) or in the south-west or south-east coast of Sardinia (approximately 1 hour by car from the center of Cagliari). Decent physical fitness and no health restrictions are required (please contact us if you are unsure). You must be able to swim at least 15 minutes in deep water. You're out on the water every day of the course. 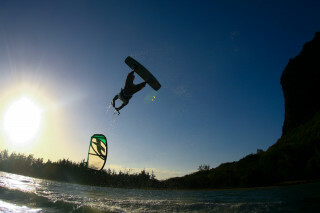 When it comes to watersports, kitesurfing scores high in the thrilling rating. It is an action sport combining aspects of wakeboarding, snowboarding, windsurfing, surfing, paragliding, skateboarding, and sailing. Wow! 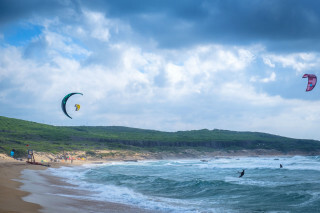 Kite surfers tap into the power of the wind and the waves with a kite and board to launch impressive freestyle maneuvers over the water. But before you try your first hangtime, aerial tricks and carve tracks in the water, you first need to learn how to control the breeze. 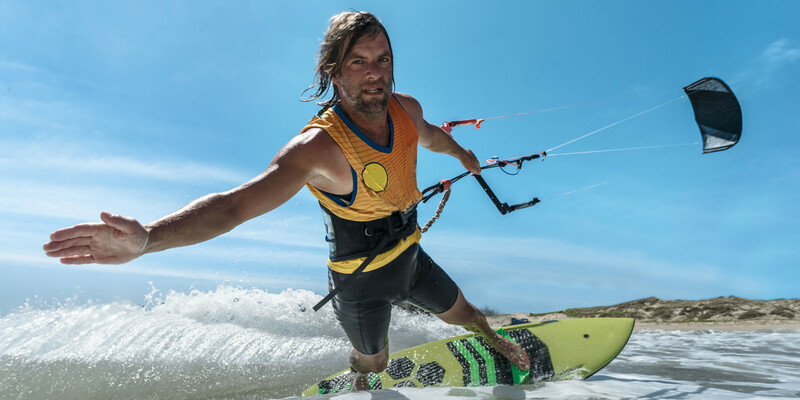 Learn with professional teachers who are certified with the most important kitesurfing organizations in the world. Firstly, your instructor shows you all the basics of equipment, rules, weather, and safety. After that, you learn how to pilot the kite and keep your balance on the board using only one hand. Once you understand the principle of body dragging you are ready to get up on the board for your first ride. In the water, your instructor follows you the entire time. You wear a Two Way Radio Helmet, a communication tool that allows your instructor to give you feedback and advice in real time. With a small class of maximum three people, you have personalized guidance based on your skill level. Lessons usually start after 12 p.m., when weather conditions are more favorable. The training sessions place may vary accordingly to the wind. We take you to the best wind in the area. Beginner Kite Course - 8 hours of kite course, divided in two or three days. 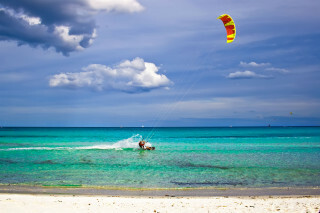 Super Beginner Kite Course - 12 hours of kite course, divided in three or four days. 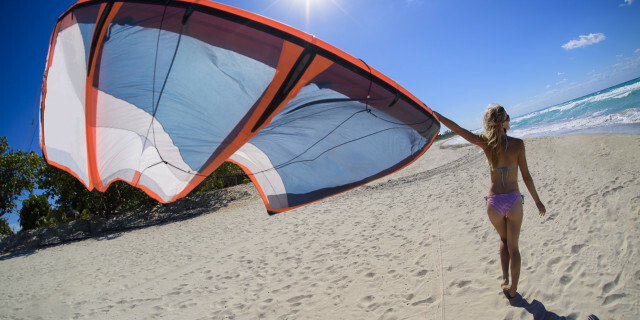 Pro Beginner Kite Course - 15 hours of kite course, divided in four or five days. In short, the longer course means better skills development, just like everything else in life. But it doesn’t matter how long you train. Once you've tamed the natural energy of the wind on some of Sardinia most beautiful beaches, you'll be hooked.